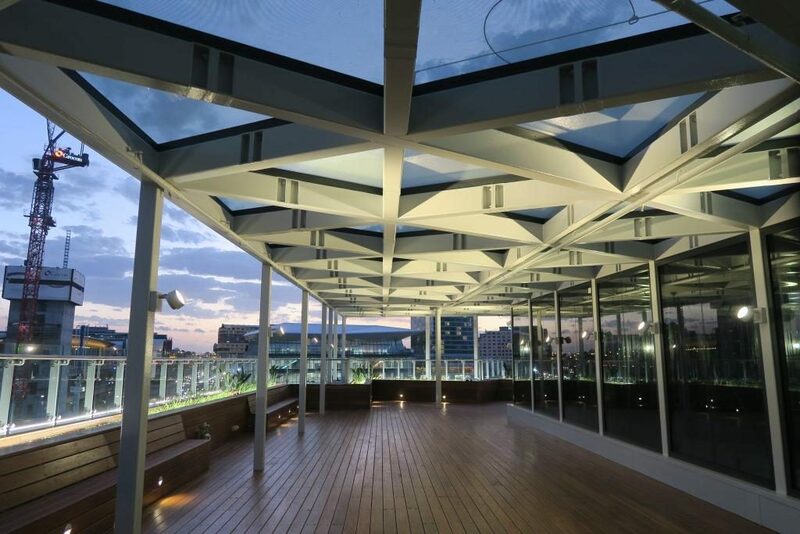 An extraordinary outdoor addition between office towers, Classic Group is building two beautiful terrace areas in the city centre at Darling Park. Navigating daily foot traffic and working at heights, the masterpiece of this job is an amazing timber walkway around the tower’s three level atrium, all covered by a glass canopy that highlights our expertise in complex and logistically challenging jobs. Traffic management, crane work, extensive glass fittings, gas plumbing, exacting steel and timber works were all part of the high level of detail required for this project completed mid-2018.